Editor’s Note: This article is Part 2 of a 3-part series. You can read Part 1 here. Creating a customer success model that benefits clients of all sizes while also helping your Customer Success Managers succeed may seem to be impossible. But, I assure you, it’s not. I’ve helped several clients do it, and this series of articles will help you do it, too. The best approach is to break the model down. There are seven components that are essential for onboarding and for the customer journey, and while you may not need all of them, you will need to integrate them so they function together and operate consistently. When you do that effectively, you encourage the deep adoption of your solution and customer engagement. You create a buzz around your product, and you turn your customers into advocates. In the first article, we covered three elements that can optimize onboarding and the customer journey, namely Guided Onboarding and a Motivating Progress Bar built into your app, as well as Actionable Customer Marketing. That’s a great start, but more is possible. You want your customer success model to appeal to all sorts of learning styles so it engages every type of user. In this article, we’ll discuss two more elements that are relevant to onboarding and the customer journey: Straightforward In-App Guidance and a Killer Knowledge Base and Videos. We’ll also cover an element that helps with onboarding and the customer journey while also establishing category content and thought leadership: Awesome Webinars. The seventh element, an Epic Community, can have the biggest impact. We’ll discuss that in the last article of the series. You’ll remember how we identified the first five to seven features – Your Guided Onboarding. Then you laid out your customer journey to show your users a clear path on how to move deeper into your solution. Just like the other components, your Straightforward In-App Guidance will reinforce the same steps in your Guided Onboarding and your customer journey. So your user gets a consistent set of messages no matter where they look. Your in-app cues should invite your user to start with the first feature, and they should keep insisting that they complete that step until they do. In this way, you guide them through onboarding and all of your customer journey steps. Reinforcement like this makes it more likely that they’ll take necessary steps and usage to start seeing benefits and a faster ROI. Many users will want to have a process explained to them as well as shown to them. That’s what your knowledge base (KB) and videos are for. People love self-serve resources like these, and it’s possible for you to create pretty granular content without too much effort. People should be able to consume a resource and learn something specific, without too much extra information. They will want to know the best order in which they should see and read videos and articles, and that order, of course, traces the same steps from onboarding into your customer journey. Articles and videos should also accommodate different learning styles. Some like to read, some like to watch, some like to listen, some like to read the captions on a silent video. The more efficient they are to use, the better the impact. Be sure to curate your KB on an ongoing basis; as your product changes, and as your use cases evolve, your videos and articles need to be updated. In my experience, webinars are so powerful that they can impact more than just onboarding and the customer journey. They also become part of your category content and your thought leadership. Many prefer to learn from a live person. We like the idea of attending a session where we can ask questions. We like to be around our peers, even in the limited scope of a webinar. Because of that, webinars are popular. Registering to attend is a great call-to-action within your customer marketing. I usually recommend holding at least one webinar a day, ideally more to accommodate different time zones. Obviously, you always want to have webinars relevant to your essential onboarding steps and to your customer journey. Be sure to cover new features when you roll them out. My clients have had incredible success when they let their customers star in some of them. Live interviews with customers and panels as well as interactive polls and surveys draw people in very well. Leverage your customers as the experts and your CSM team as the hosts. With one client, we did a webinar about “how to turn your customers into advocates.” It was a runaway hit. We had the highest attendance ever, and the attendees asked many, many outstanding questions. It was so popular, we decided to share it with a broader audience. So we turned it into a blog article, which we sent to our customers and prospects. The response was overwhelmingly positive, and we started holding a webinar and then publishing it as a blog every month. Our customers loved the way we included the best questions from the webinar in the article. They loved the way we highlighted our customer’s creative thinking. And so what happened? More people attended the next webinar. Our content continued to get more interesting and more relevant to our customer base. We had customers who wanted to be known as experts and leaders and who asked to appear. You can see where this is leading. This content is super-engaging because you are listening to your customers, incorporating their input, and letting them be authorities on your product. They will feel like they are part of your process. They’ll feel that they’re making a contribution and that you appreciate them. You can see where all of these elements are leading. The more engaging your Customer Success Model is, the more time your customer spends in your application, and the more benefit they get from it. As you have certainly realized, this will seriously support your CSMs. The easier it is for your customers to learn your app without their help, the easier it is for your CSMs to deepen their adoption in meaningful ways. With these elements in place, your CSM can spend more of their time having strategic, relationship building conversations. They can focus on delivering business results and looking for upsell opportunities. Where do you go from here? You’re going to take this social aspect of your Customer Success Model to a whole new level with an Epic Community. In the next article, I’ll show you how to increase your retention, boost your total number of users, and turn your customers into heroes. Lynn Tsoflias currently consults and advises growth startups and non-profits to help them build and advance their customer success to retain customers and increase revenues and NPS. She has held customer-facing leadership roles at global enterprise companies, such as Microsoft, Linkedin, the World Bank and startups, such as Insightly and ArrowStream. Today she is also serving as the interim VP of Sales and Customer Success – Enterprise Solutions, at Kiva.org. 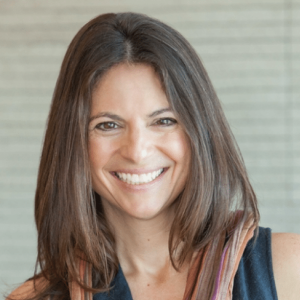 She helps companies develop a giving strategy to connect employees to purpose and company missions, as well as drive corporate brand lift via cause marketing. She helps Kiva.org sell multimillion-dollar employee and customer engagement programs to CXOs.